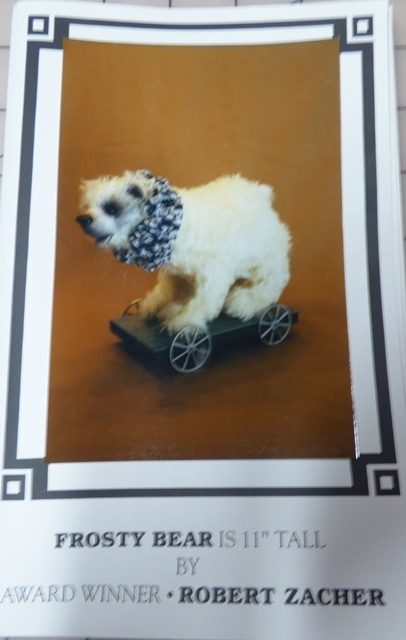 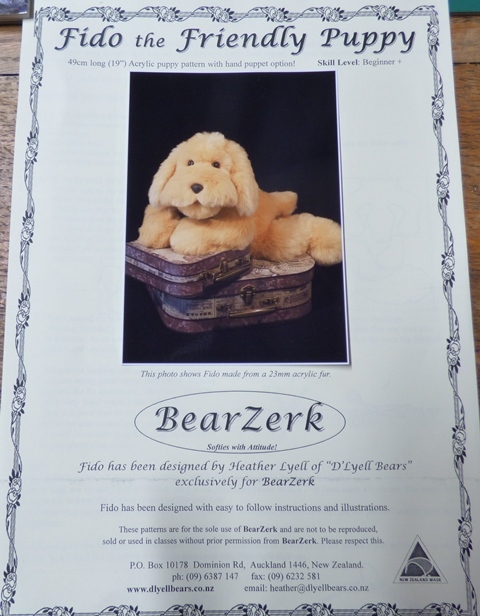 Pattern : Edinburgh Imports, Inc., Your source for teddy bear making supplies & 100% Schulte® German Mohair. 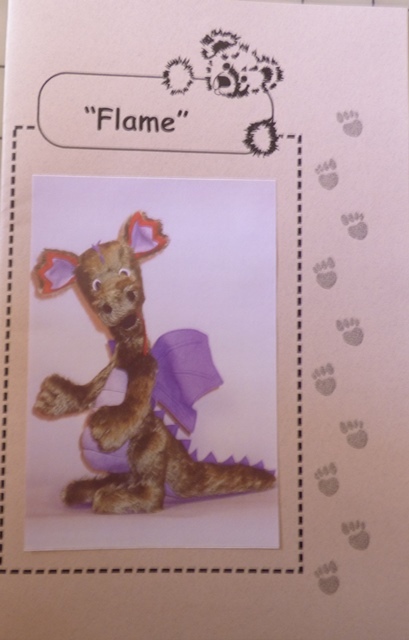 This is a pattern for a 15" dragon named Flame from Nicki Harper of Bear Bums. 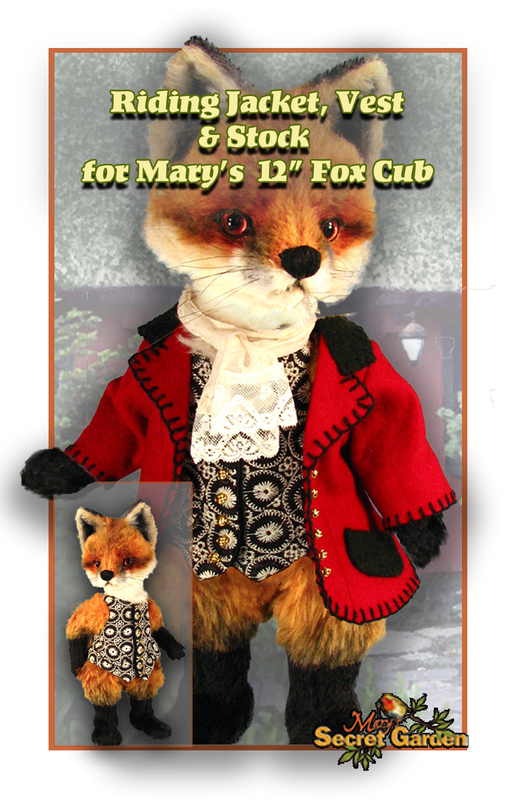 This pattern is easy enough for beginners. 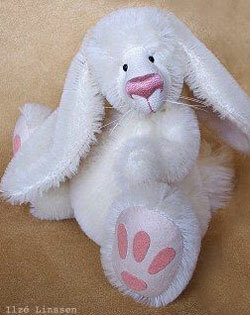 Floppsy is a 7.5" bunny pattern by Ilze Linssen. 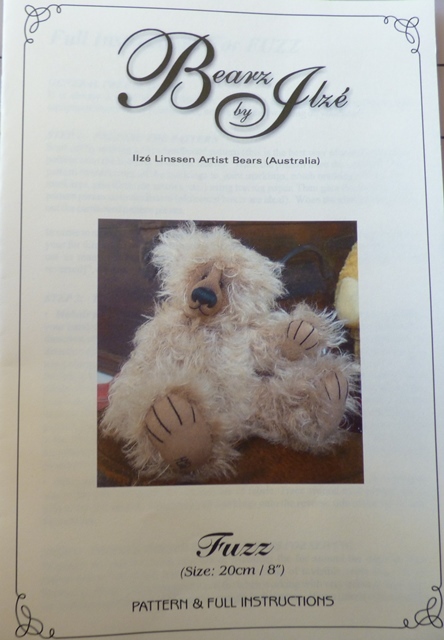 Flore the Fabric Bear 18"
Fuzz is an 8" bear designed by Ilze Linssen. 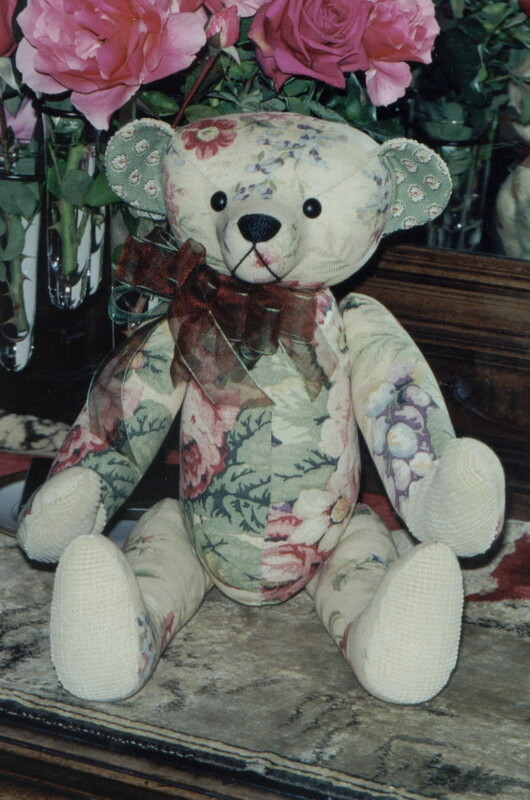 This bear will make a nice addition to your bear hug. 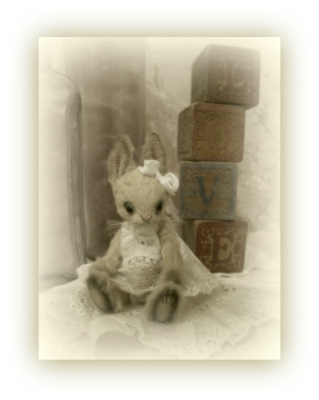 Genevieve Bunny paper or e-Pattern Available.